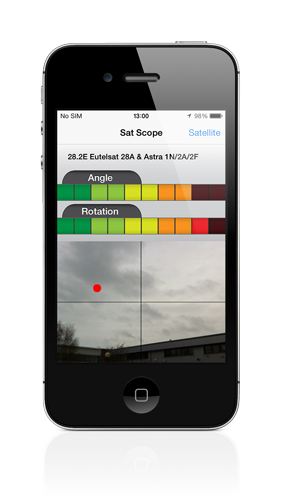 iOS App to help point your satellite dish in the right direction. Choose the satellite you are trying to point at. Then the two power meters increase as you turn your device and angle it at the satellite. When you get close you can see the satellite position as a red dot on the camera display. The camera display shows you if there are obstructions between your proposed dish position and the satellite.